For more than 75 years families and friends return “to the lake”for a weekend of fun and friendship. August 10th-13th, 2017 throughout the village. Sand sculpture contest, horseshoe, golf and softball tournaments, boat races, MSU tailgate party, the famous Scottville Clown Band leads a parade down main street. Concert at the Village Green gazebo and fire works at sunset. Pentwater's specialty is music. Pentwater is home to the Pentwater Civic Band which plays concerts every Thursday night during the summer at the Village Green. The Pentwater Civic Band plays mostly marches, polkas, fight songs, and oldies. Located in beautiful Oceana County adjacent to Hill and Hollow Campground, just 1.5 miles from the Village of Pentwater. 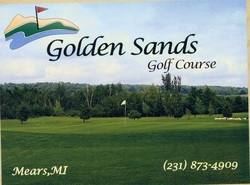 Enjoy one of Michigan's finest 18-hole miniature golf courses. Country Dairy, Inc. is a family owned business that has been processing and bottling milk in West Michigan since 1983. We are looking forward to sharing our farm with your family and friends. Come and visit us soon! Since 1930, Mac Wood's has provided you with a safe, fun-filled 7 mile dune ride lasting about 40 minutes. You are hosted by knowledgeable drivers who understand the history and environment of the constantly changing sand mountains. Providing memorable river adventures since 1963 on Michigan's "Country Scenic" White River in the Huron-Manistee National Forest. Choose from canoes, kayaks, tubes and rafts to enjoy a great outdoor recreation experience by all ages. Come out and enjoy a great night filled with live blues and jazz music while enjoying a refreshing cocktail on our deck with a beautiful view of Pentwater Lake. She is the largest car ferry ever to sail Lake Michigan, and has provided a safe, fun, and reliable shortcut across the huge inland sea for more than fifty years. The S.S. Badger is a national treasure, offering a cruise experience that links us to an earlier time when a sea voyage was the ultimate travel and vacation adventure.